Erica from Kizzling Around has kindly nominated me to join the Capture the Colour photo competition run by TravelSupermarket.com. The idea is to publish a post with five original shots from your travels, each one representing the colours blue, green, yellow, white and red. Tag five other bloggers and link back to TravelSupermarket on Facebook or Twitter (with the tags @travelsupermkt and #capturethecolour). If you don’t have an account on either network, simply email your entry to capturethecolour[at]travelsupermarket.com, complete with your name, address and phone number. Note that anyone can join in – you don’t need to be nominated to take part in the competition. The deadline for submitting your entry is August 29th, so get the word out before it’s too late! While the sun evaded us on a pre-dawn trek up the pinnacle of Lao Zhai Hill, what we saw from the summit outweighed the lost hours of sleep and the risk of being eaten alive by a swarm of hungry mosquitoes. 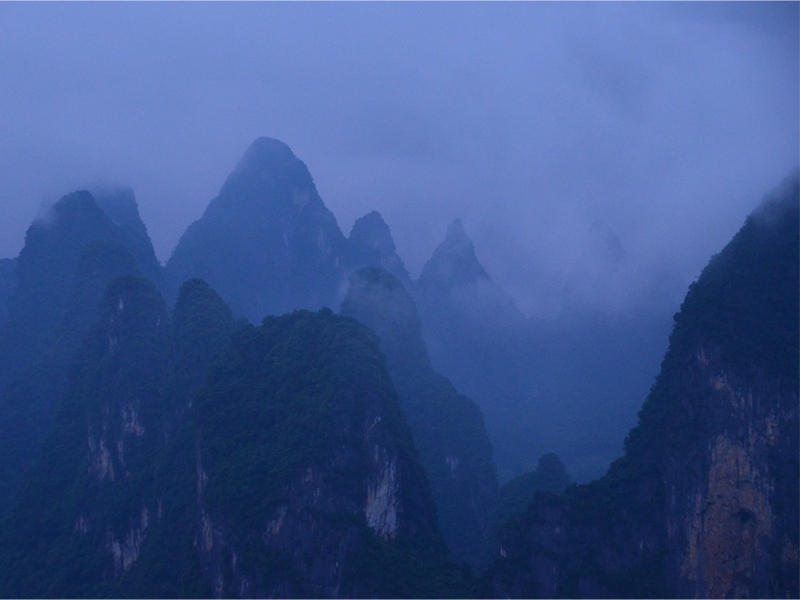 From our lonely perch high above the town of Xingping, we finally grasped the quiet magic that had inspired poets and painters for nearly a thousand years. Green is not usually a colour associated with Hong Kong, but look a little closer and you’ll find it just about everywhere: painted across the lower deck of the Star Ferry, applied on hawker stalls, and characterising the vast swathes of cloth mesh draped over its signature bamboo scaffolds. As thoroughly modern as it all seems, Hong Kong takes its Chinese traditions very seriously. 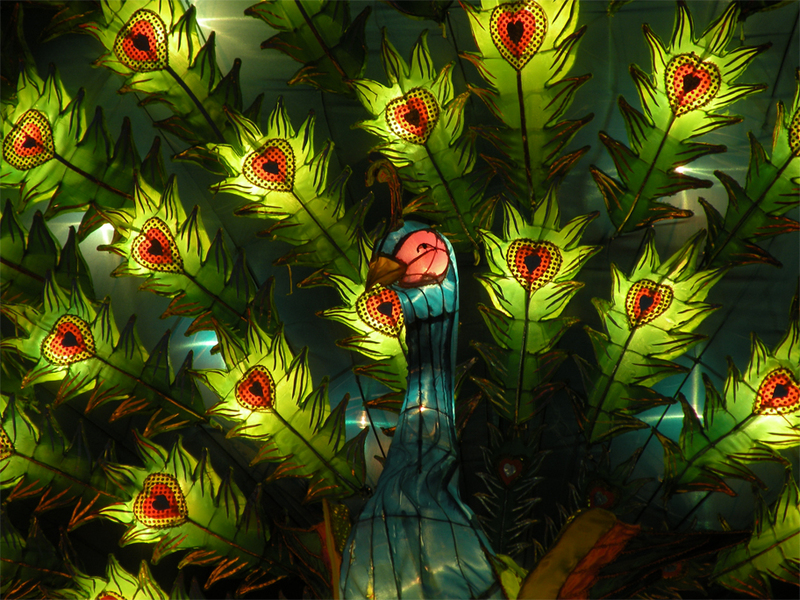 This elaborate peacock was put in place to celebrate the Mid-Autumn Festival, when families greet the full moon with lanterns, feasting and all manner of calorific mooncakes. 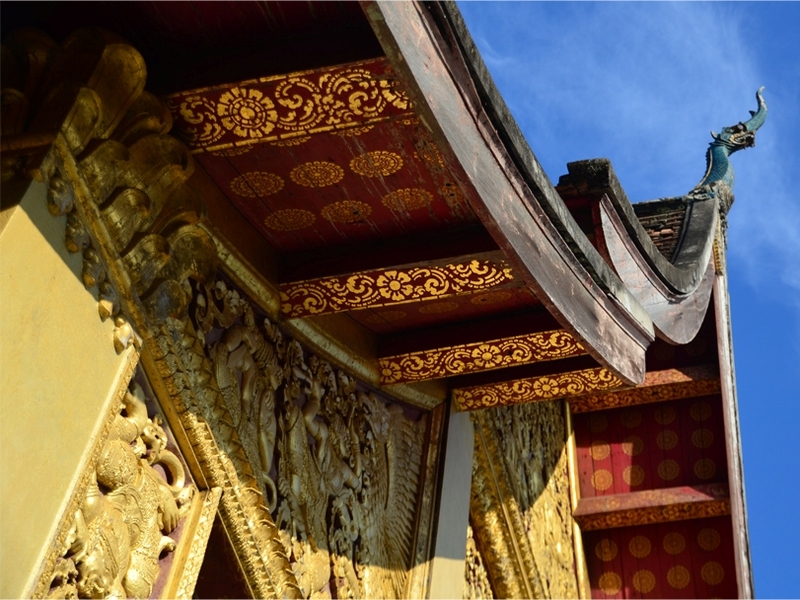 May is the hottest month in Luang Prabang, but while the scorching heat sent us scrambling for shade and the comfort of an air-conditioned space, this was compensated by the distinct lack of visitors to the old royal capital. Late one afternoon, fellow travel blogger Bama and I were one of a small handful inside the grounds of Wat Xieng Thong, observing the sun’s rays reflecting off the temple’s glass mosaics and gilded reliefs. Though quiet moments are not hard to come by in Laos, this one was a true spell of solitude. Climbing to the top of the Torre Tavira, an 18th century maritime watchtower, I encountered a sea of white houses studded with flecks of earthy pink, gleaming under the Andalusian sun. 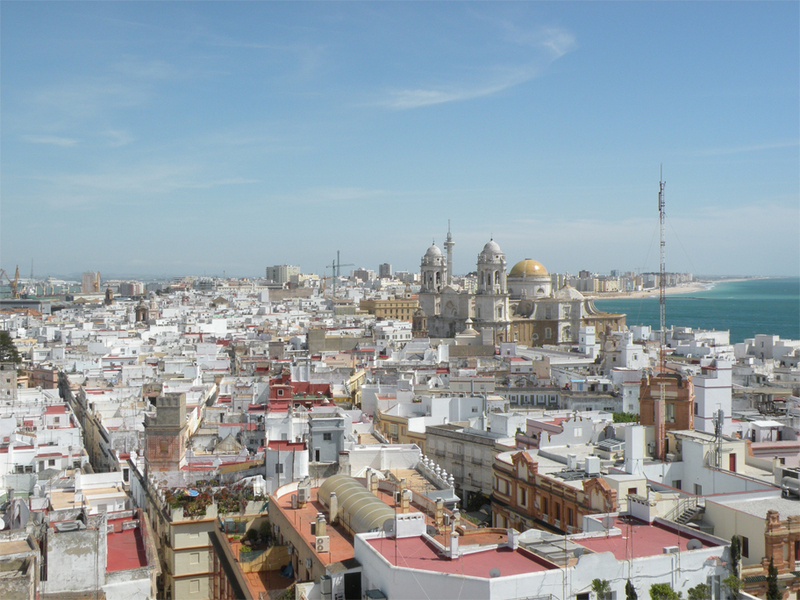 Cádiz – perhaps the oldest city in Western Europe – was an intoxicating combination of sheer history, deep-fried seafood and lazy afternoons sipping cocktails above the beach. One week before Easter, it felt as though summer had already arrived on this corner of the Costa de la Luz, Spain’s Atlantic “Coast of Light”. 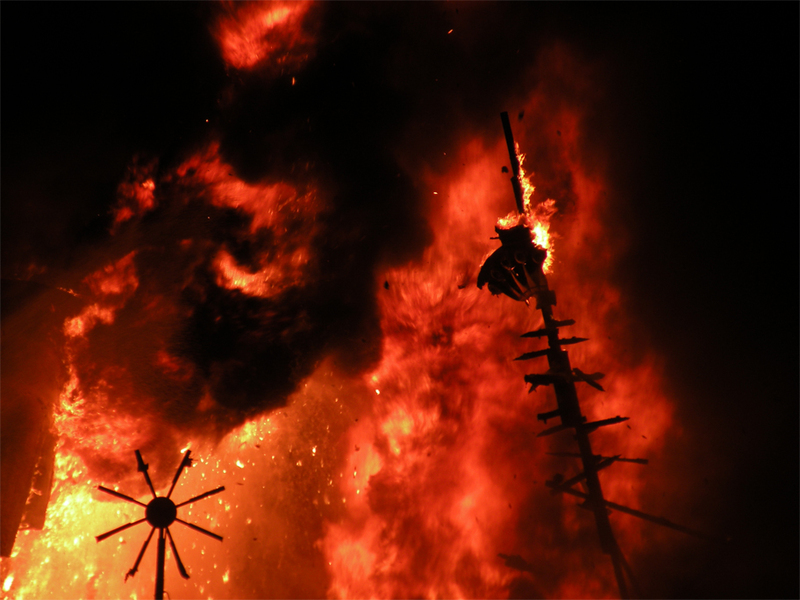 La Cremà, “the burning”, is the culmination of 21 days of madness that take place in Valencia each spring. What began as a feast in honour of St. Joseph, the patron saint of carpenters, is now a raucous, eardrum-busting fiesta known as Las Fallas. Despite my tired, sleep-deprived state by the end of the festival, I distinctly remember savouring the heat on our faces and dodging the falling embers of La Cremà. Bama from What an Amazing World! Great photos! I think I know everyone who has been nominated for this. Thanks Debra! I can see why you had a hard time narrowing your choices down to five – they were all such interesting options! I like this post and that combine colors to cities. Enjoyed reading it. What a story, Meredith – to be attending Las Fallas in the waning years of the Francoist era! I do love how the floats are so playful and often flagrantly subversive, it is such a fitting contrast to their cartoony appearance. There’s no need to be terrified at all, I’m sure you will have some fabulous photos in store for us! If I could plug the other end of a PDF cable into my brain, I would have access to images galore, James! My problem is I travelled for so many years without a camera at all, or with little print film automatics that my catalogue of digital shots is really very limited. But I have found a few new ones that might scrub up ok.
Back to Las Fallas – I think it was there, watching that subversion, that I fell in love with Spain. For a couple of years I toyed with going to live there, but Franco, and catholic Mamas … thought I’d best keep wandering! It’s funny how we both fell in love with Spain under such similar circumstances! I too had that “aha” moment two years ago at Las Fallas; it was my experience there that really propelled me to spend those nine months in Salamanca (and launch this blog)! Thanks James! This is so interesting and different. I think I’ll do this over the weekend. Absolutely stunning photos! The blue is so beautiful, while the red was downright shocking. I couldn’t read the description fast enough to see why you were in a fire- and taking pictures instead of running away! Thanks again for the nomination, Erica! Reading your comment made me grin – I was at a relatively safe distance from the inferno so that shot was taken with my camera’s powerful zoom. I think you would probably have done the same! Haha you know me too well! My current lens doesn’t have zoom so I’d actually be running toward the flame if it meant getting a great shot. I really need think about getting another lens.. for safety reasons. Oh man, good thing I decided to log-in to WP today. I shall have to troll through all my vaca photos. No doubt you’ll have many to choose from. Good luck! Simply beautiful! Love the blue and green choices especially. Thank you Sarah – those two were the easiest ones to pick! Thanks Madhu! I was hoping to put a street scene in there but none of them seemed to fit the overall look. I’m sure you have more than enough content to create an inspiring photo journal! Thank you for the kind words. I remember feeling the same way when I first started out – just keep writing and soon enough you’ll accumulate a lot of material! Ha ha 😀 It’s Hong Kong’s beautiful hidden gem! I love your entry James! It is fabulous especially the lanterns and China pic. Thanks for nominating me too! I happened to be ninated a day before you nominated me by another blogger. Thanks again and love your submission! Thank you Nicole! I only realised that you too were nominated after I posted this – that and you posted your entry just before mine!